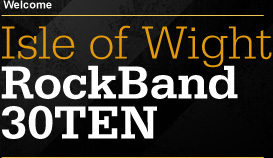 30TEN are a 4 piece Isle of Wight Band who are available for hire anywhere on the Isle of Wight. Hire the band for weddings, birthdays, parties or special events across the island. For the latest band gigs and information join us on facebook, follow us on twitter or contact us to hire this Isle of Wight Band 30TEN!